Monday, February 19 was a Holiday so Nathan did not have school. His nurse Danielle came and they played as usual. A normal bedtime routine for Nathan goes a little something like this. At 8:30 Danielle would normally be checking out, so we tell Nathan to go upstairs and get his clothes off and we will bring his medication in. Normally, I would be downstairs to sign Danielle out and Jay would be getting him in bed. He would have walked up the stairs by himself. This night was different and thank God it was. He likes to have toys taken to his room and put next to his bed. Danielle was in the process of taking his toys upstairs. For some reason Jay was standing at the top of the stairs and I was walking right up behind Nathan (again, not normal). Danielle was at the top of the stairs and could not get down since he was walking up so she waited at the top for him to get by. He got all the way to the last step and just froze. Nathan has no balance and his right leg was mid-air and he was not moving. Being behind him I thought his pant leg was stuck so I bent over to pull it up but it was fine. He was not holding on to the hand rail in his normal way and I remember hearing Danielle say “Move your hand up buddy”, no response. I heard it again “Move your hand up buddy”, then I heard Jay say “Nathan, move your hand!”. Danielle looked at me and said he is having a seizure. Jay immediately grabbed him and layed him on the ground. His eyes rolled all the way back in his head and he started twitching. I remember calling out the time…8:34. It really was a miracle that we were all standing in the places we were considering he was on the stairs and that could have been so much worse. It all lasted maybe 45 seconds, but trust me when I say that it was the longest 45 seconds of our lives. Set your timer on your phone for 45 seconds and hold your breath, that is what I felt like. I could not move, I could not breathe. It was almost like an out of body experience. When it was over, it took several minutes for him to be aware of what was going on. He was unable to answer questions appropriately for several minutes. We asked him what my name was and he just shrugged his shoulders. We asked what his sisters name was and he would say I forgot. We got through several questions before he started to be able to answer them. It was very scary and something I have dreaded since he was given this diagnosis. Looking back at what lead up to this I think it is important to note a few things. We had just traveled to New York and had only been home a day when this happened. He had had a hard time at one of the appointments in New York which resulted in us bribing him with a toy to be delivered on Monday. He was up at 3:30 that morning waiting by the front door for the package. To say he was sleep deprived and running on empty would be an understatement. It is a pretty big trickle down effect when Nathan has a seizure and a nurse is on duty. Danielle had to chart it. By doing so the Nursing company has to legally report it to his Primary Care Physician. I happened to have a regularly scheduled call with Palliative care the next day and let them know what happened. Legally, they had to report it to his Neurologist. So I was very busy with lots of phone calls the next day. Immediately, his Neurologist insisted on putting him on another seizure medication. 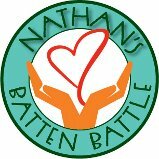 Nathan has been on Depakote for years (prescribed as a mood stabilizer). Now that he had a breakthrough seizure that the Neuro is classifying as a tonic/clonic (formerly called grand mal) the Depakote is not effective. Within a day we added Lamictal. The tricky thing about Lamictal is there is a known side effect of a rash that can be extremely serious. The good news is that they know how to titrate it since they have used it for so long. So from February 21- May 22 we have to slowly up the dose until he reaches a therapeutic level. At that time we will have to slowly decrease the Depakote as there is known interaction with those two drugs. Anytime we change medications with Nathan it is super scary since he has had some pretty severe reactions. So far, all has gone according to plan and we have not seen any issues. We had a regularly scheduled appointment with Genetics two days after this took place. I asked the Doctor if this was just concrete proof that we had moved into the next phase of this disease. He said yes, but to be honest he had been waiting for it since Nathan was 12, then 13. So for him to make it almost to 14 was pretty good. He told us not to be surprised if he had more seizures in the time it was taking for us to get Lamictal up to speed. That does scare me. I do not have experience with seizures and is definitely one part of this disease that has truly scared me the most. I was so thankful that everyone was here the first time it happened. I keep worrying if I will be alone with him the next time it happens, will I be able to stay calm, will I know what to do? I am sure I will, but it has kept me up worrying. We do know now that two things that can trigger a seizure is being overly tired and illness. Nathan has spent the last week home from school with a cold. We have implemented a new bedtime routine that gets him in bed and asleep much earlier. In combination with this and the new medication, we are hopeful that this will keep the seizures at bay longer. Please pray for Nathan that this does not become the new normal. I do not know that I can handle watching his poor little body react the way it did. Thank you for loving our little boy. Thank you. We love you guys so much! Praying for you guys and for Nathan. So scary to see a seizure and feel helpless. Y’all are amazing parents and I know at times this isn’t easy. Prayers, just fervent prayers for all of you. Praying for a smooth transition and miraculous results on this new medicine! praying for Nathan’s safety! And most of all, a cure!